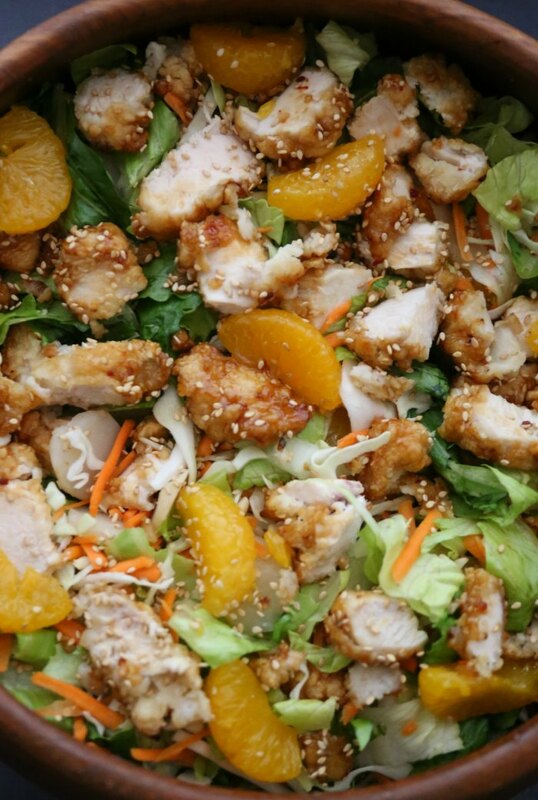 I’m so excited to share this super tasty orange chicken salad recipe with you today as part of a sponsored campaign with Foster Farms. Anyone else have completely crazy days and nights? Kids activities, meetings, homework – the list can sometimes seem to go on and on. On those crazy nights, I need something quick & easy to make for dinner – something that I can have on the table in 30 minutes or less! And, that’s where Foster Farms comes in! They want to help you “Rule Your Roost” by making meal time easy! I like to keep my freezer stocked with some favorite frozen items like crispy strips and orange chicken for those crazy, busy days! YUMMMMmmm! Doesn’t that look super tasty?! 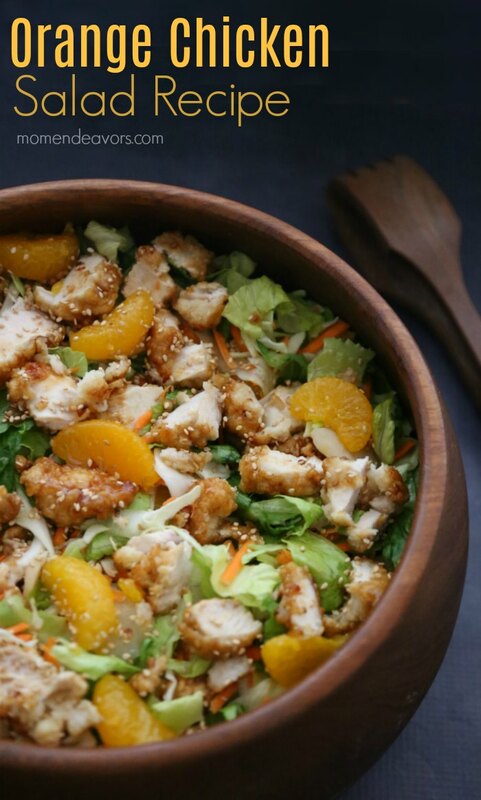 It tastes like a delicious restaurant salad, but it’s SO easy to make! I like to keep some of the ingredients for this tasty salad always on hand since it’s one that I can make easily and is something everyone enjoys! Recipes that are not only tasty, but EASY are a MUST on those crazy, busy days with 3 kids! 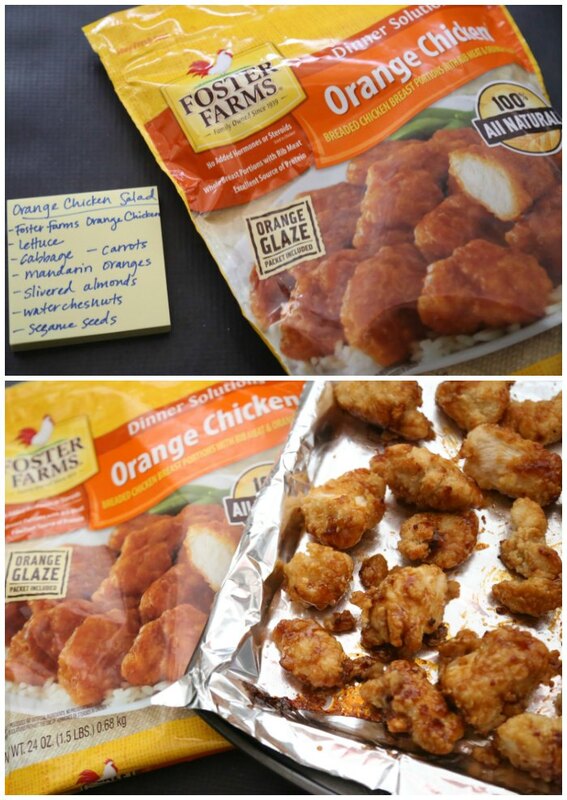 The Foster Farms Orange Chicken cooks in just 15-20 minutes. So, you can pop the chicken in the oven and prep the rest of the salad ingredients while that cooks. Then, in under 30 minutes, you have a tasty meal the whole family will love! 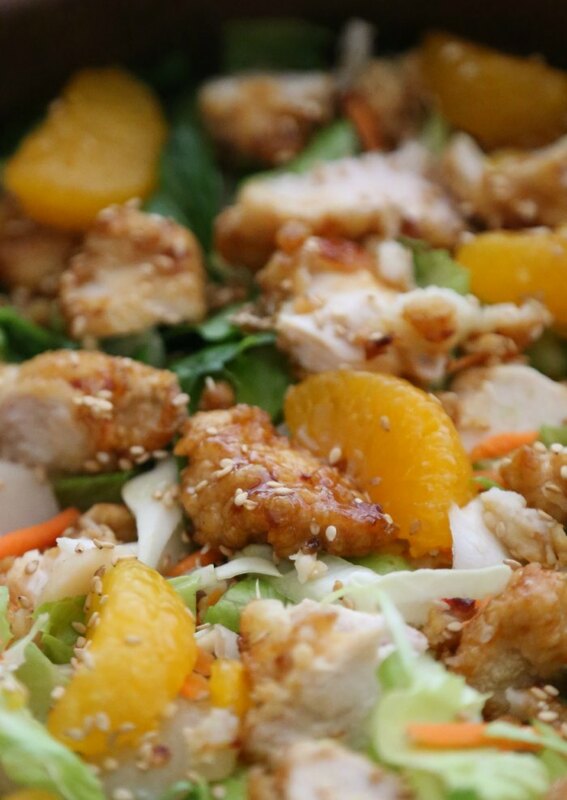 A flavorful mandarin orange chicken salad, on the table in 30 minutes or less! While chicken cooks, prep other ingredients. Add all ingredients in a large serving bowl. Toss to combine. When ready to serve, add desired store bought or homemade Asian dressing. Yum! I’m craving this now! It’s so tasty! 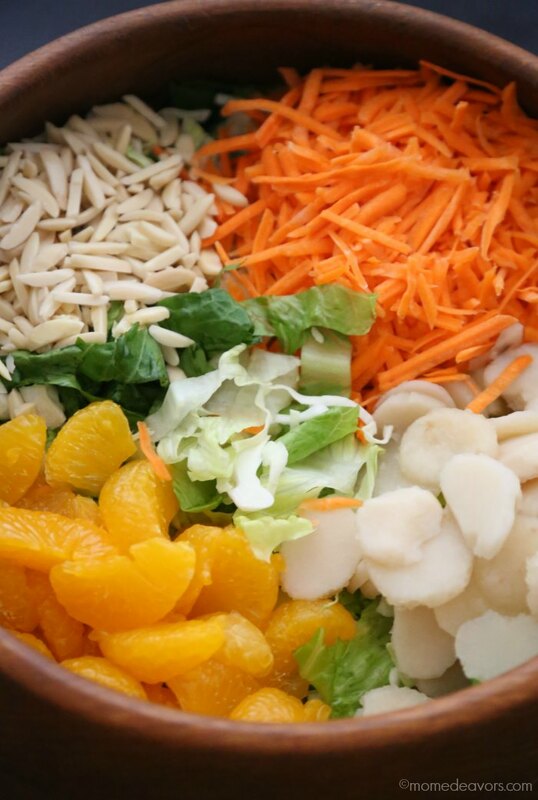 So, next time you’re at the grocery store, grab the ingredients to make this tasty salad! 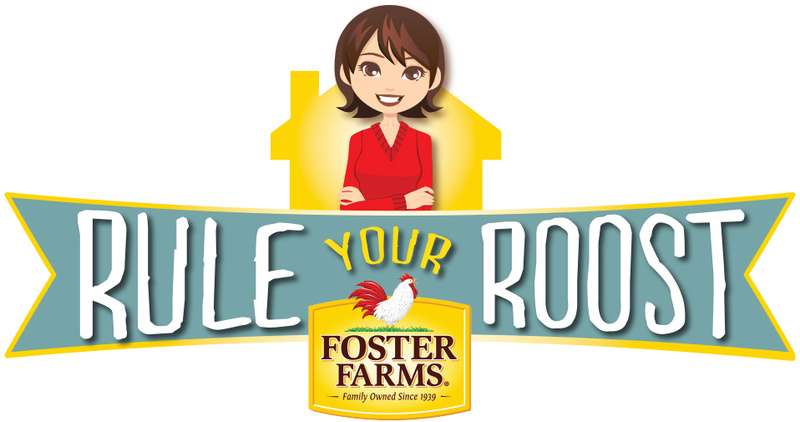 While you’re there you can stock up on any of Foster Farms frozen chicken products. The Foster Farms Saute Ready pre-cut and marinated frozen chicken is another easy option to help you get quick meals on the table. Each of their four different seasoned varieties (Asian Style, Fajita, and Lemon Pepper) can combine in a skillet with rice or veggies or pasta to make a fast, hearty and delicious dinner (up to 7 servings per bag) – all in just ten minutes! Here’s to ruling your roost and making tasty dinners the whole family will love!